Share the post "4 major cloud migrating challenges & solutions every CIO must know"
Migrating to the cloud means you are shifting your in-house infrastructure to an external computing environment, which is a challenging operation to carry out as you need to give control to a certain extent. Every organization faces challenges when moving their business to the cloud, however, it is crucial to understand how to tackle these challenges before adopting cloud computing models. A huge mistake a lot of organizations make while moving to the cloud is not spending enough time to create a proper strategy. 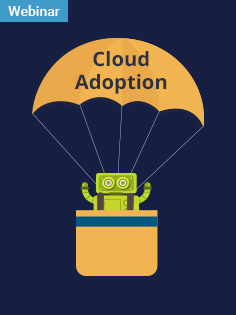 For successful cloud adoption and implementation, you need end-to-end planning without any shortcuts, because some of the data and applications would be difficult to migrate compared to others and you cannot expect a “one-size-fits-all” solution here. You must, first of all, analyze your organization’s current infrastructure thoroughly and decide how and where to integrate without missing out on anything. Also, a lot of assets might require small adjustments or rebuilding once they are in the cloud. Such assets should be identified in your strategy and roadmap. Then after, divide your entire migration strategy into different phases to make your organization’s journey to the cloud simple and seamless. Migrating to the cloud is beneficial in many ways to improve your business productivity, however, if anything goes wrong with your cloud service provider after you have migrated, then switching to another vendor can cost you an arm and a leg. This is why, a lot of businesses find it risky and expensive to have all their data, applications, and infrastructure with one cloud provider. There are several CSPs in the market, and the majority of them operate with the same core concepts, so you need to compare vendors based on their cloud computing service offerings. Sign a cloud agreement before implementing that includes an exit plan and potential costs, when you plan your implementation strategy. The cloud application components should be loosely coupled by incorporating REST APIs with renowned industry standards such as JSON, HTTP, and OAuth to remove your applications from the core cloud infrastructure platform. Maximize the portability of your data by eliminating proprietary formatting and describe the data model clearly using relevant schema standards to make documentations readable by humans and computers both. Make use of DevOps tools and processes to maximize portability of code. This will reduce the lock-ins risk that arises due to proprietary configurations and makes the transition from one cloud service provider to another possible. If you fail to properly analyze cloud computing strategy cost, this cloud migration could turn out to be a money eating monster. The cloud server at the end of the month generates a big bill. Moreover, cloud server management includes ongoing operations such as industry compliance, security certificates, monitoring application performance, up-scaling servers, and more. Thus, a CIO of an organization must evaluate the cost of cloud migration depending on your business needs as well as budget. You can take advantage of AWS spot instances to get up to 80% savings. Spot Instances (virtual servers) are a feature of AWS consisting of spare EC2 Instances given at a discount as the price of the instance keeps changing in real-time depending upon the demand. AWS users make a bid showing the amount they are ready to pay for the instance and if the Spot price is lesser than the bid, the user gets that instance. For a CIO of any company, security is the biggest concern when shifting their data to the cloud. This is because organizations are still hesitant to hand over their confidential data to the third party provider, although the cloud environment is fully secured. Nowadays, cloud computing vendors have advanced security systems to create a tamper-proof cloud environment, whether it is public, private, or hybrid. However, for your assurance, here is a list of questions you can ask your cloud service provider before partnering. Is the data encrypted end-to-end? How do you migrate data from the cloud? 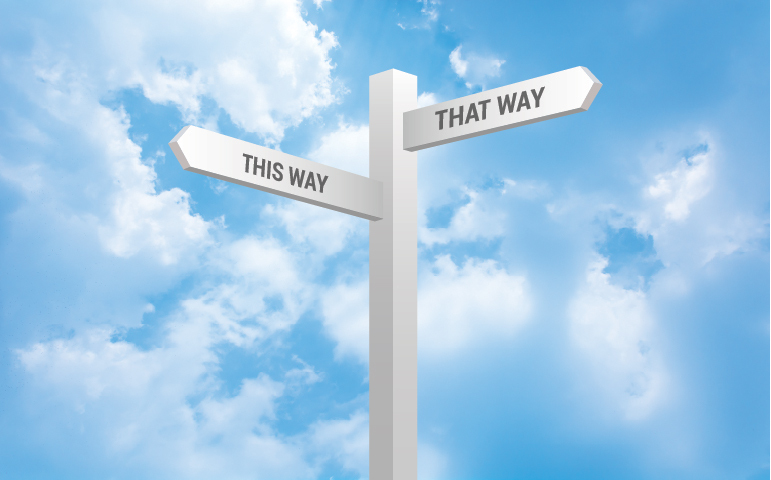 The answer to these questions will help you to choose the right cloud service provider. Generally, the majority of providers are compliant with diverse security regulations, such as HIPAA, PCI-DSS, ISO 27001 and so on. It is inevitable for modern organizations to move to the cloud, although it can be a challenging task without a fail-proof cloud migration strategy. The above-mentioned challenges and solutions will help you to choose a reliable cloud migration service provider. And, with the help of our cloud experts, you can create a proper strategy by collaborating with the relevant stakeholders and migrate to the cloud smoothly.